Welcome to Core Staging … Where things are a little different. Like many national A/V providers, Core Staging is a full-service audio/visual staging and production company, with expertise in scenic design and event management. But that’s where the similarities end. What’s different? You might say we take our client relationships too seriously. Or that we focus on our clients’ needs at the expense of our own. Or maybe that our commitment to reasonable pricing keeps us from being as profitable as we could be. But in fact, it’s exactly this focus and commitment that have made us who we are today. At Core Staging, we recognize that our most valuable assets are the relationships we have with clients. After all, we’re building business for the future – yours and ours. So if you have an upcoming conference or event and need outstanding production services with a personal touch, send us an email or give us a call at (866) 822-5956. Find out what it’s like to work with a company that’s committed to providing the best A/V staging and production service in the business – every single day. Even if you have a fantastic program, it won't get far if it's not presented well. Top quality equipment, operated by qualified professionals, is the starting point for every successful event. 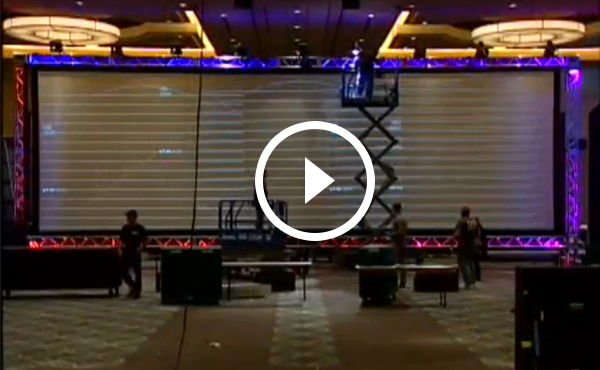 To have a great event, you've got to have a strong technical foundation. Core Staging's skilled team can perform on-site inspections to determine equipment and fixed requirements. Whether you’re planning a major event, setting up small meetings, or doing a trade show, the design of your sets–your stage set-up and props–can transform something good into something great.